LOOKING to see Perth’s worst drivers in action where panel damage and a bit of biffo is the name of the game? JASON Kendrick is the man of the moment, winning his second successive feature race and improving his standings in the Wormall Civil track championship. IT’s DEMO DERBY time! 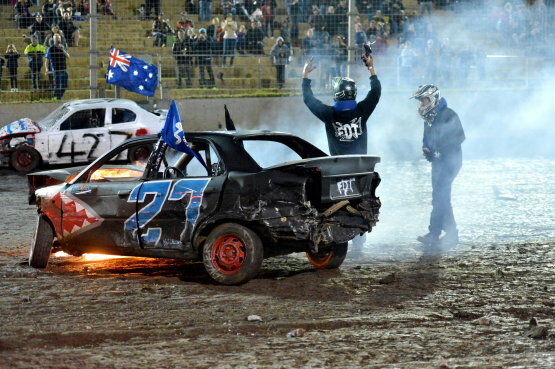 This Saturday night we host round two of the Carbusters WA Demolition Derby Championship where maximum destruction is the name of the game. LEE Nash will be looking to build on his points lead when he contests round six of the 2015-16 AHG Sprintcar Series at the Perth Motorplex this Saturday night. LOOKING for something to do this Saturday night? And want to do something that will entertain the children as well? The co-designer of the iconic Christmas Tree trophy, John ‘Stomper’ Winterburn has given the thumbs up to an updated version to be presented at this weekend’s 400 Thunder event, the Home Group WA Nitro Slam. Perth Motorplex makes complete switch to IHRA sanctioning for Drag Racing. Competition Drag Racing events at Perth Motorplex will be sanctioned by the International Hot Rod Association (IHRA) as of the 1st of December, 2015. 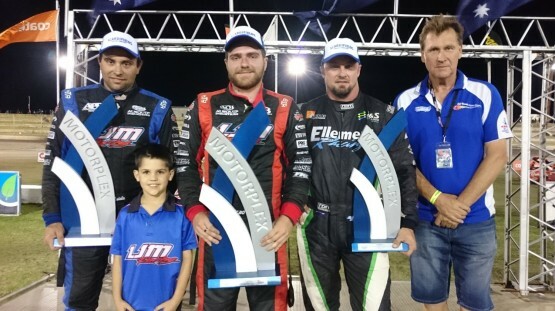 BRAD Maiolo’s name has been added to an illustrious list after he won the 34th Annual Scardifields Smash Repairs King of Wings at the Perth Motorplex on Saturday night. 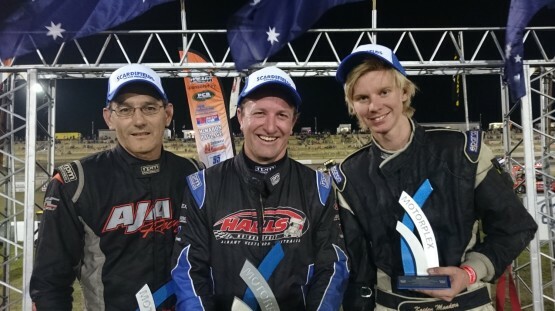 DAVID Hall and Gavin Davis were the winners in the TW Mechanical 360 Sprintcars and Limited Sprintcar races while Troy Johnson was too good for his rivals in the Alltools Formula 500 round at the Perth Motorplex on Saturday night.